“Knowing your customer” is not just a marketing cliché but a mission first defined by Chick-fil-A’s founder and CEO decades ago. But the brand’s batch-and-blast email approach was falling short of that promise. 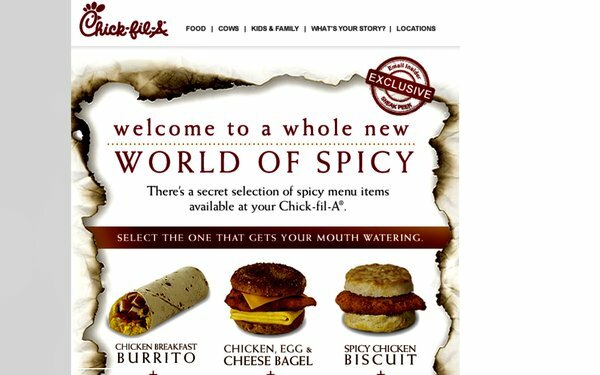 Emily Randall, interactive digital media at the brand, shows how Chick-fil-A quickly built a model that balances scale with personalized connections to customers and works at both a national and local retail level. From database reorganization to an ESP change, reimagined design to empowering local operators as email publishers, the brand’s email finally activates the founder’s brand promise. Truett Cathy, the founder of Dwarf House Grill in 1946. First version of Chick-fil-A. In Atlanta. 10 stools, 4 tables. He knew his customers. And their stories. Heart of who Chick-fil-A is. He said we’re not even in the chicken business, we’re in the people business. Hospitality, going the second mile. 2,300 locations today, harder to know customers by name but we have rallied around this: When you know someone’s story, you can care for them personally. What are all of our marketing touchpoints? Each touchpoint is a deposit or a withdrawal. Our journey at looking at email program. 18 months ago, we saw it was more of a withdrawal, with a batch-and-blast approach, it was pretty messy. Our story is one of becoming modern marketers. Learning what that looks like. 1. Databases were separate, making it hard to audit messaging frequency, capitalize on any personalization opportunity. We had email insiders of about 6 million people; A-List, local loyalty program, inconsistent, had emails associated with hit; Cow Calendar (a customer could purchase beginning of year, free monthly items) wit email to remind them. Also recently launched Chick-fil-A One, national loyalty program. There was overlap with all those different groups. We said, Let’s roll this up under Chick-fil-A One. We had transaction data, we knew this was going to grow over time. Let’s start to fold some of these under that. The solution was the consolidation of email databases and programs into unified effort. That was a hard decision. There were 6 million people there and we knew we weren’t going to convert all of them. Some would be let go. Alist and Cow Calendar we folded under Chick-fil-A One. 2. Visual design was inconsistent. Three different teams handling it. Clear solution: overhaul. Worked with our partner, Brightwave, on this and we did an entire overhaul. We also internally folded up everything under one team working on email. It’s all in Chick-fil-A One, you can link to your profile, you can see how many treats you have in your account. Rest of template is dynamic. We think a lot about using real estate to extend existing continent. We have The Chicken Wire, which is our blog with long-form content and then we think about how to chop it up into email, social, bite-size pieces. We try to distribute that across all our channels. We’ll also highlight national campaigns, products, things like that. 3. Our Email Service Provider was cloud-based and had challenges balancing PII with personalization capabilities. We needed something on premise so we decided to partner with Messagegears, that was a huge partnership with our IT folks. We went through a whole set of capabilities and requirements that we needed. Allowed us to personalize some of our emails. Today, it’s not perfect but here’s how we approach it. 1) We have a three times the email database that we had about a year and a half ago, so we have definitely seen growth. Chick-fil-A One is part of that. We think a lot about balancing the scale and personalization. How do you take one of our differentiators, local ownership, we want to be able to take stories that are happening personally and then highlight those in email at scale and then we also want to be able to take stories that are at scale alike our national campaigns and then personalize those. It’s a tough balance that we’re still trying to figure out. We’re also balancing local email. We do let our operators email their customers. On brand side, we give them templates, tools to send emails, share best practices, and then each template is one single message. It’s not the content blogs that we have on the brand side. And then they can load in their pictures, signatures, tweak the copy. Sometimes it’s about a limited-time offer or it could be information about closing for renovation. Can send really personal emails to just one person as well. Local & National sends two emails a month, all different messages. We can see people local has emailed, our biggest op brand side is thinking about entire audience that doesn’t fall into one of their local CRM systems. An example of what a wire frame looks like for an email. We’re pulling in multiple different data sources, customer data, transaction data, and we tweak the message based on where somebody is based on their customer journey. We started out with 32 base segments per email, we also had at least 500 versions. We have seen about a five time increase in overall memberships. Email biggest driver of keeping someone engaged. Over 20% hike in conversion from people who get the email vs. the control group. From an attribution standpoint, we are able to measure that. It’s incredible what you can tie actions and emails to in terms of sales, and to measure attribution in this channel. We saw a huge spike in email engagement. Local know their customers better than we do. We want to continue that again. Secret sauce of Chick-fil-A. It’s a tough balance. Start plugging in from personalization standpoint in emails. Then pull in geo, local messaging. Tie it to app activity. People want to see deals in QSR. Balance basic rewards. It’s not just new tech for new tech. Don’t get caught up in the shiny new thing.